Looking for hair extensions in Newfoundland and Labrador? Yes! We do ship to Newfoundland and Labrador. The best extensions in Newfoundland and Labrador: order online or buy in retail stores? 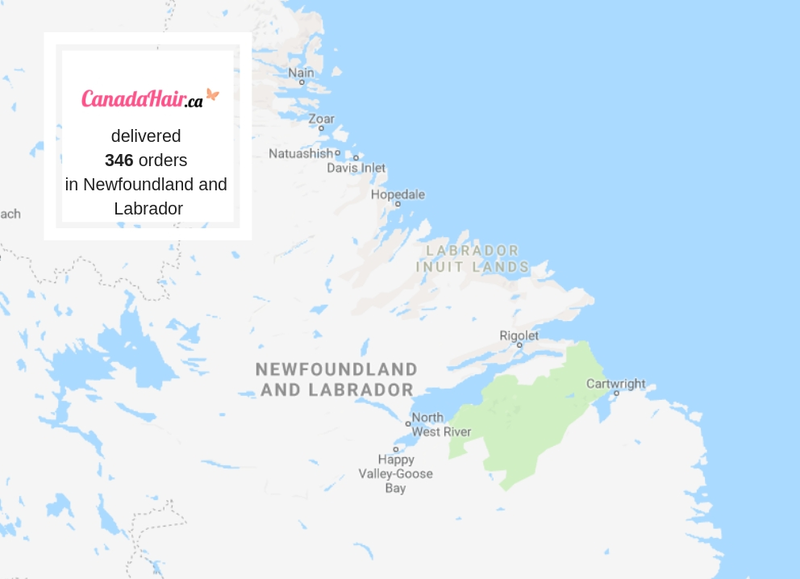 Popular in Newfoundland and Labrador: we already have thousands of satisfied customers in your city - Canada Hair is a top pick in Newfoundland and Labrador! We already work with lots of hair salons and shops in your area. We help hair salons in Newfoundland and Labrador have happier customers by offering them quality products at affordable prices. Home to the Norse archaeological site where a famous Viking explorer once settled and 17-century landmarks, Newfoundland and Labrador have seen their fair share of history. Amongst these ancient ruins, you’ll also find the whisper of high-speed internet and instant access to the hottest haircare products. Canada Hair is Canada’s number one online retailer for salon-quality hair products, tools, and hair extensions in Newfoundland and Labrador. Clip in hair extensions easily clip in and out of the hair, and offer a temporary option for changing up your look. Tape in hair extensions use strips of tape to stay secure in the hair to provide natural looking results. Micro loop extensions are one of the most popular types of permanent hair extensions near Newfoundland and Labrador because they don’t use any glue or heat to attach to the hair. Fusion extensions attach to the hair using glue and won’t budge through everyday life. Ponytail hair extensions fit snugly over a ponytail or half-up style to enhance an everyday look or special occasion style. Wefts and weaves attach to the hair with either sewing or braiding and offer long-lasting volume and length. Wigs for women can deliver a brand new hair style that you wouldn’t get with your natural hair alone. They are also great for hiding thinning or balding areas. Replenish your locks with the professional-quality shampoos and conditioners from Canada Hair. Find the product that matches your hair type, and enhance your results with tailor made styling products. The curling irons, blow dryers, and straighteners from Canada Hair heat up in seconds and provide fresh-from-the-salon results. Keep your tresses tame and smooth with our specialty combs and brushes. Add a fun pop of color to your hair for a change, or match your natural color to your human hair extensions to fool anyone.